A democratic civic revolution won in Ukraine. The criminal regime of President Yanukovych, who created a total system of violence and corruption for his own benefit, was toppled. Alas, over a hundred Ukrainian protesters paid for this with their lives, and thousands more with grave injuries. Ukrainian parliament has since formed a legitimate new coalition government that has to bring the country, robbed by its previous government, back on track. 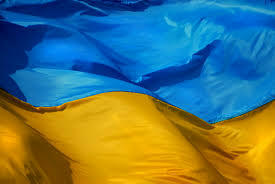 A national consensus on Ukraine’s further democratic development is arising. However, the government of the Russian Federation chose to use this situation to destabilize Ukraine and outright militarily occupy some of its regions. The Crimean peninsula was the first region to fall victim to this: in direct violation of international agreements, Russian army is blocking the objects of strategic importance, while Russian special corps are urging local separatists towards drastic actions. On February 28, 2014, the Parliament of Ukraine issued a resolution calling on the international community to use all means available to guarantee the territorial unity of Ukraine. Therefore, we would like to ask our colleagues from other countries to join the large-scope international campaign aimed to pressure the Russian government into complying with the international legal norms. Let us not forget: the Second World War in Europe started, among other things, because the Western democracies had wasted too much time on “containing” Germany’s aggressive initiatives with multiple concessions. The democratic world has no right to repeat the same mistake with the present-day aggressive Russian rulers!